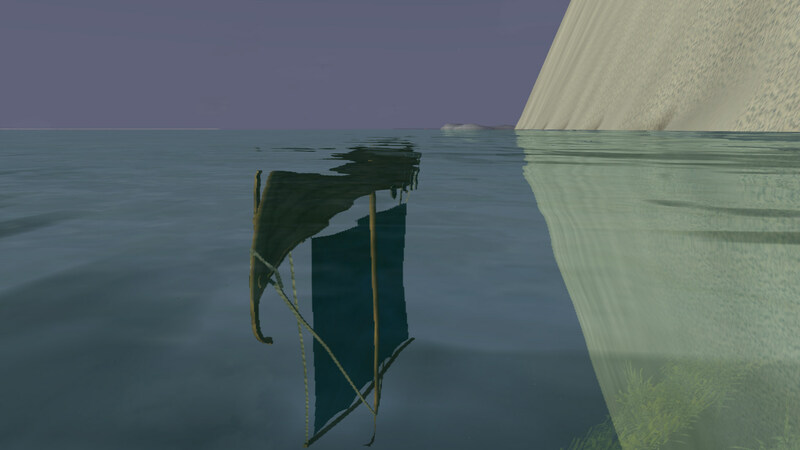 So my boat disappeared when i was making a turn. 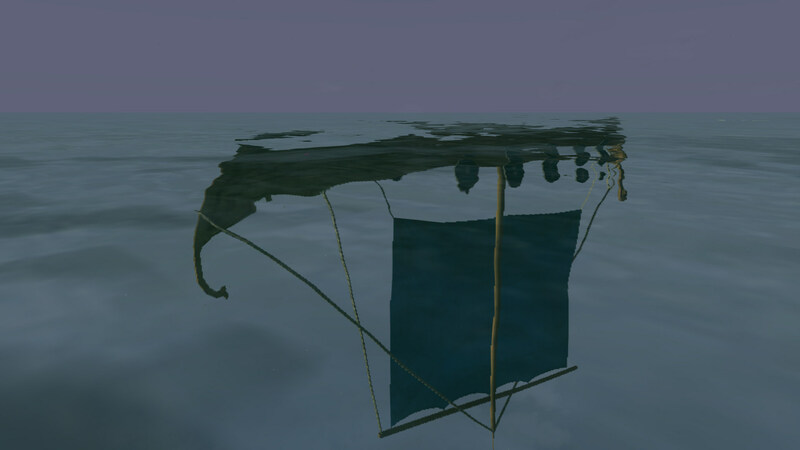 I could keep sailing in it, and it came back when i relogged. Since i had it targeted i could disembark and embark via the select bar. I believe it happened as i turned my boat next to a mine entrance with doors. 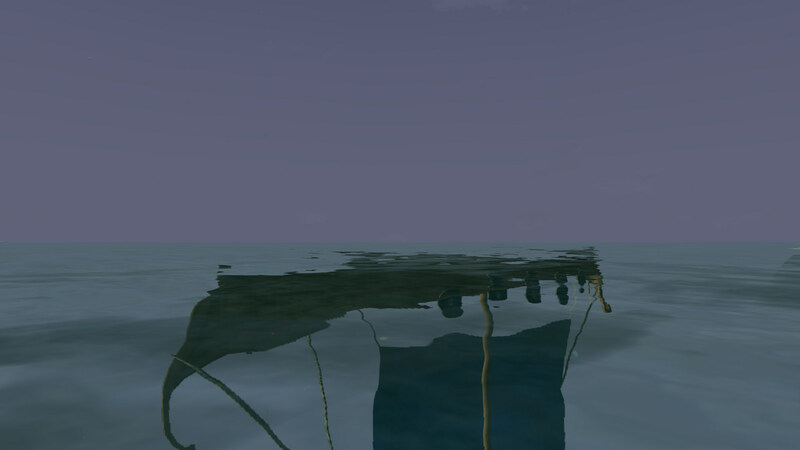 Anyway, it gave me some.. interesting screenies, as the reflection of the boat still was there.